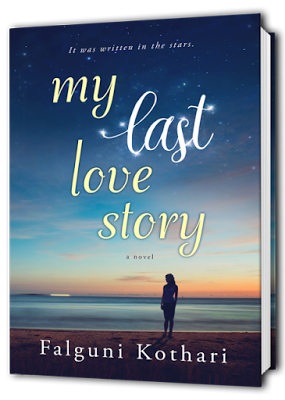 I recently read My Last Love Story by Falguni Kothari, just before it was released. I didn't really know what to expect before I started the book. The author was new to me, but I was pleasantly surprised. 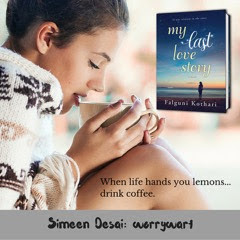 Simeen's husband Nirvaan is dying and they are trying, along with their best friend Zayaan to make the most of the time that Nirvaan has got left and really live life. Nirvaan is asking Simeen to have a baby, something she doesn't really want to do. 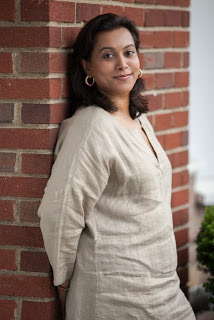 She also has history, both with Zayaan and something traumatic that happened when she was 18 and changed her relationship with Nirvaan and Zayaan. Over the course of the book, Simeen is forced to face her past, her future and her relationships. I really enjoyed the way that the three main characters developed over the course of the book and as we learnt more about them. It could have descended into sentimental mush, but fortunately that didn't happen. The three main leads are all interesting and complex characters and it's easy to find yourself rooting for them as the story unfolds. I really enjoyed this book; check it out. 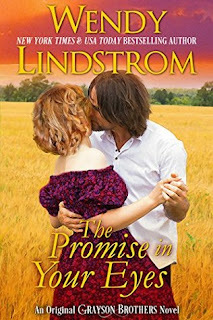 Having read all of the other books in Wendy Lindstrom's Grayson Brothers series, when The Promise in Your Eyes was released I was keen to read it. This novel was in some ways quite different to many other romance novels, with our main characters being quite a bit older than most leads in the genre. It was also the story of someone finding love a second time around, again something that was slightly unusual. In some ways I struggled with this book. Nancy Grayson is no stranger to anyone who has read the Grayson Brothers books. As the matriarch of the family we have seen her in all of the other books and in the previous book to this one, we learn of her love story with her first husband Hal. I have to admit that I didn't enjoy this story as much as When I Fall in Love. Although Hal has been dead for many years, Nancy struggles to let go of him and allow herself to feel something for someone else. She feels guilty and as though she is betraying his memory. I did find that although it was important to stress this point, there was perhaps a little bit too much repetition and Nancy internally discussing her feelings on a few occasions. It made the book drag a little in parts and almost felt as though it was being padded out a bit. I am perhaps being a little unfair, clearly the internal struggle that Nancy feels between her feelings for Hal and new love Dawson are important and central to the story line, but I felt that the chemistry and building feelings that really give live to a romance book were lost a little along the way. Overall I enjoyed the book and I'll certainly be back for more Grayson Brother's in the future. If you've read others in the series then I'd definitely recommend you read this one too, but if you're new to the series then I'd suggest starting with one of the others first.